From a carpenter, a fine foundation in superb workmanship made way for a luxury custom home builder. It all started 28 years ago, when I was a teenager, just commenced my apprenticeship as a Carpenter/joiner. I was fortunate to learn my carpentry skills working on high quality home extensions and renovations in the Melbourne’s South Eastern suburbs. During this time, I was taught by a highly respected master builder, who was a tough teacher. He would settle for no less than perfect, even from an apprentice, so I was instilled with my passion for producing fine quality carpentry work (and whilst I would not have admitted this back then) I have much to thank him for. His constant insistence that I learn to master things the right way, was the foundation for becoming a highly skilled tradesmen and a luxury custom home builder. Over 24 years of building and still going strong. 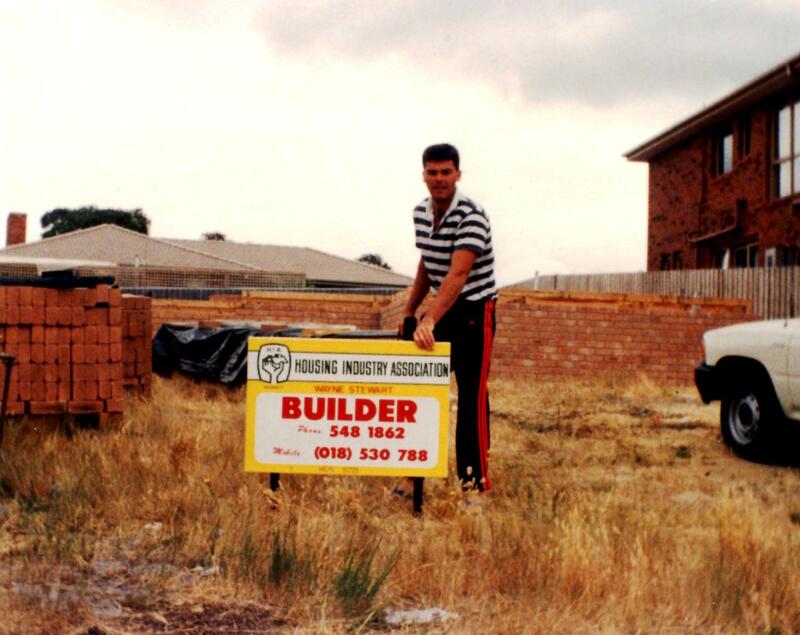 From working as a carpenter on small renovations, and working for other builders, I broadened my knowledge further, before deciding to take the leap and obtain my own builders licence in 1991. This enabled me to put my name on larger projects and start building up my reputation for the fine workmanship that I was passionate about. I remember my first really decent sized job in Balaclava; back in the early 1990’s where I extended the living area to include a large open plan kitchen and family room, plus a major renovation to the entire home. It was, at the time, an enormous job for me, and it turned out ‘spot on’. Needless to say the clients were over the moon, and I got a huge buzz out of knowing I had gained 100% satisfaction from a great client. After a few years, my clients decided to sell up and were proud to ring me up and tell me that they made a significant return on their renovation investment, with the local Real Estate agent and buyers alike, complimenting my workmanship. The property sold under the caption “The Jewel in the Crown”. Passing on knowledge and skills to the next generation of tradesmen. I look at myself now, and I am the master builder, of luxury custom homes, passing on my knowledge and skills to the next generation of tradesmen, by teaching them the right way to build, and hopefully imparting some of my personal values of honesty and a passion for excellence, that I have founded my custom home building business on.